Share "Rent Our Sod & Grass Equipment "
As winter begins to come to a close and the ice starts to melt it’s time to start thinking about your lawn. If you’re a veteran, then you already took the necessary steps in the fall to make sure you’re off to a great start. If not, then it is time to take action. Every homeowner has one thing in common, they need to rent their sod and grass equipment from the local hardware store to achieve the desired results. For starters you need to rent a power rake. A power rake makes dethatching your lawn as easy as riding a lawn mower. This is important because a power rake will remove the thatch that is choking your lawn instantly allowing air, water, and nutrients to reach the roots of your lawn. This is tool is also portable and easy to use. As a follow-up to the power rake, you should also use an aerator and tow. 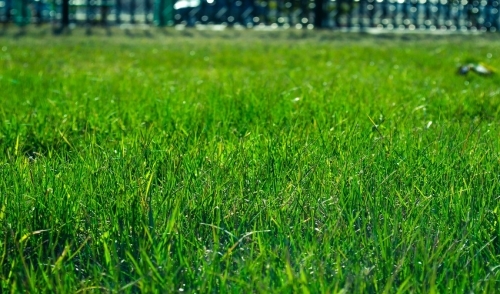 While a power rake will remove all of the dead grass that is suffocating your lawn, aeration will perforate your lawn with small holes so that water, fertilizer, and other nutrients penetrate the roots of your lawn. This will help you produce a strong and green lawn by alleviating the soil compaction beneath the surface. If you are trying to develop a fresh new lawn, rent an overseeder. It sounds unnecessary by default, but an overseeder will not only seed your lawn evenly, it will also do it in half the time. Trust me, there’s nothing worse than realizing your seeding by hand resulted in patches throughout your lawn. Rent an overseeder and save yourself the frustration. If you’re looking to reshape or reposition your lawn, then you need to rent a sod cutter. If you ever wonder how landscapers are able to cut out pieces of grass with such precision, a sod cutter is the answer. For professional grade work at half the price, rent a sod cutter to get the cut you need. Whether your expanding your flower bed or creating new walkways, sod cutters get the job done fast. For creating those curve edge where your lawn ends and your flowerbed begins, you need to rent a bed shaper. Stop wasting time using that old rusty shovel and rent a bed shaper to create clean, sharp, and crisp edges in your lawn. When it’s all said and done, use a lawn roller to smooth out any lumps and to make sure your sod and lawn are laid evenly. You don’t want the kids tripping over any humps while playing soccer in the backyard so rent a lawn roller to create a perfectly flat surface for your grass to grow and thrive. Forget labor-intensive yard work. If you’re serious about creating the perfect lawn this year, rent your sod and grass equipment because it will save you time and more importantly, money.